There aren't a lot of countries that we go back to again and again. Actually Dave and I were talking the other day and realized that we have only re-visited 3 countries again and again. We may have had a stop over in others or popped into one while in the neighbourhood, but Mexico, Thailand and France keep calling us back. Out of 56 countries visited and counting, a place must have something special to entice us to keep coming back and all of the above have it. We have come to the conclusion that we love these countries not only for their culture, scenery and people, but because they each hold a special memory for us. It was in these countries that we enjoyed many firsts in travel and they always remind us what made us fall in love with being perpetual wanderers. What is so enticing about Mexico? Could it be its proximity to Canada, it's diverse landcape and rich Mayan culture? Of course it is! We'd dance every night to the Mariachi bands as we sipped Coronas from an icy bucket of beer. Mexico is a massive land and it will take years to explore it. Our few trips have barely scratched the surface and yet we've been at the far southern reaches of the Guatemala and Belize borders to the northern towns of Tecate and Tijuana near the United States. 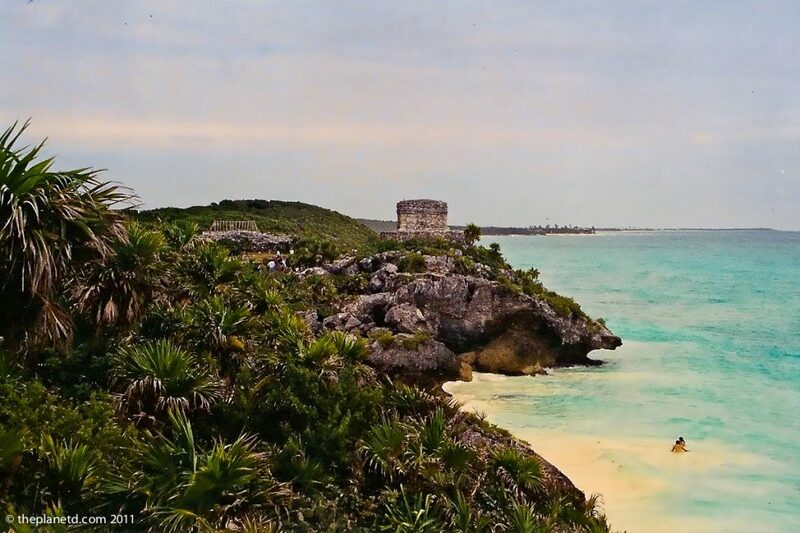 We've walked its sandy beaches, paddled its rivers, hiked is jungles and explored its ancient Mayan ruins. And yet there is still so much more to see and do. Maybe we'll have to take advantage of Thomas Cook Canada's Massive Facebook Travel Sale. They're hosting an online extravaganza offering incredible deals to Mexico. If you want to go to one of our favourite countries for cheap, join us and Thomas Cook On December 7th from 7-9 on their facebook page for special discounts. When people ask us if there is one place in the world that we think we could settle down in and live outside of Canada,Thailand always springs to mind. It has some of the most spectacular beaches on earth, a strong cultural identity and it has all the amenities of home with massive, modern malls, movie theatres and fine dining. Mmm, when I think of Thai food, it makes my mouth water. Thailand is special to us because it was our first extended independent travel. It was in this country that we first stepped out of the all inclusive vacation mode over a decade ago. We took local transport for the first time and hired local guides. We didn't have anyone arrange one aspect of our trip for us and we travelled completely on our own for 5 weeks. It is always special for us to land at the Bangkok airport. That feeling of excitement and wonder always comes back to us. We revisit what it was like to be in awe of a distant land and we are reminded of a time when travel to a new country felt completely foreign and almost frightening to us. We were terrified and excited all at once when we first arrived in Bangkok in 2000, and sense memory comes back to us with each visit. We are reminded why we started traveling in the first place. Thailand has islands in the south, mega cities in the centre and jungles and hill tribes to the north. Throughout the entire country you'll find culture and adventure. 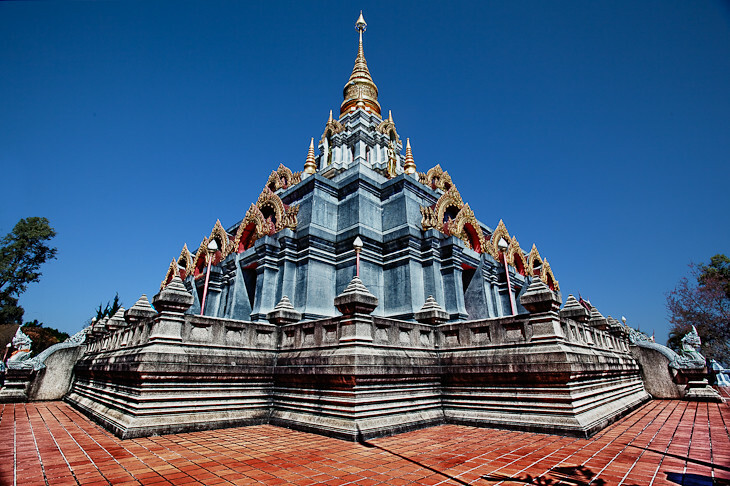 Visiting a pagoda or temple in Thailand is a cultural experience you will always remember. You can visit a monastery one minute, be on the beach or hiking in the jungle the next and be back in time for dinner and a movie to round off the night! Who didn't dream of visiting Paris as a child? I watched Gene Kelly and Leslie Caron dance through its streets in An American in Paris and I listened to my parents Frank Sinatra albums as he sang I love Paris in the Springtime. I didn't know anything about Paris, but I knew very young that I loved it! When Dave and I went to Paris, it was like a dream. Everything I had ever seen on TV was standing there before us. To this day, every time we are in Paris, we re-visit its historical monuments and wander the city with our mouths agape. It is the most beautiful city in the world and it was here that we rented our first car overseas and drove in a foreign land. France was a part of our first trip to Europe and it was the first time we ever visited a museum outside of our own country. It was the first time we witnessed a battlefield when we drove to Vimy Ridge and it was the first time we stepped foot in an actual castle. Even when we went back to visit again last summer we had another first in Travel. It was in France that we saw the Mediterranean Sea for the first time. We have always seen movie stars and royalty use it as their playground and in 2010, we used it as ours. We have climbed it's rock faces, hiked through its forests, camped on its beaches and browsed its art and architecture. It also has a strong cultural identity and love it or hate it, France is very French. Like Thailand and Mexico, France is another massive country that will take years to truly explore and we are happy to keep going back to discover more. 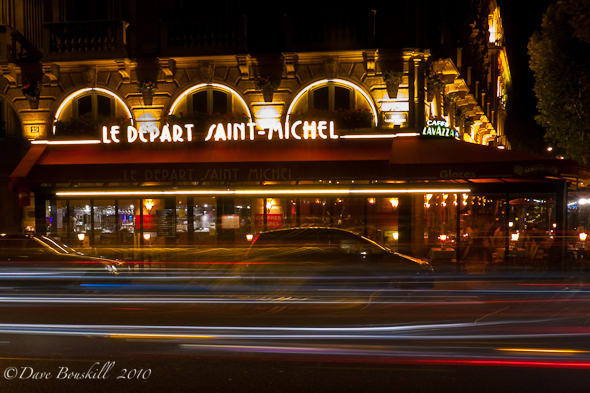 13 Responses to "Three Countries We Can’t Get Enough Of"
walking…walking…walking…expressions of amazement and wonder lit up their faces as the beauty of Paris embraced them as we explored the City of Love and Light. Agree totally about Mexico. I’ve seen most of Latin America, but to me, Mexico stands out as the country with the most to offer. It has everything — mountains, jungles, oceans for swimming and scuba diving, fascinating indigenous cultures, ancient pyramids, a unique, world-famous national cuisine, and of course — tequila. And lots of tourist infrastructure, at low prices. Not to be missed, and always worth another visit. As for France, you can’t miss seeing Paris. Enough said. Agree!! 1st trip without my parents and by plane was Mexico and I keep very fond memories of it! the food, the landscape, the culture, everything! I know I will be back one day, the only things that keeps me from going back right now is I wanna explore countries I’ve never been to before going back to places I’ve been. And Thailand, ah! Of course! I don’t think I’ve ever read or heard about someone going to Thailand and not wanting to go back! Again, 1st trip by myself, backpack, no reservation, and it was wonderful. If we had to move somewhere, we would choose Thailand too. Or may I make this 5? Then I’ll add Germany and Colombia. I agree with being in LOVE with France…I could go back to France again and again and never get tired of it. We are leaving in three weeks for Thailand, and from what I have heard from everybody that I have talked to who has been there, I think we are going to LOVE Thailand, too! I am from Mexico, and the things you say make me very proud of my country! thank you very much! I haven’t been to thailand yet but I agree that Mexico & France are 2 countries that I don’t have a problem going back to again & again! For me, it might be Italy and Spain. I’d still love to see more of France, I only briefly crossed the Mexican border once, and I haven’t been to Thailand…but eventually! We haven’t been to Mexico yet but I have a feeling we will love it. We have just extended our apartment rental in Chiang Mai from 3 to 4 months and I think it’s going to be difficult to leave, so Thailand could well end up on our list too. Otherwise Italy, Sri Lanka and India are the countries we can’t get enough of. I’m torn at the moment between going back to them and exploring new countries. Now I realise why you guys have revisited these 3 great countries.